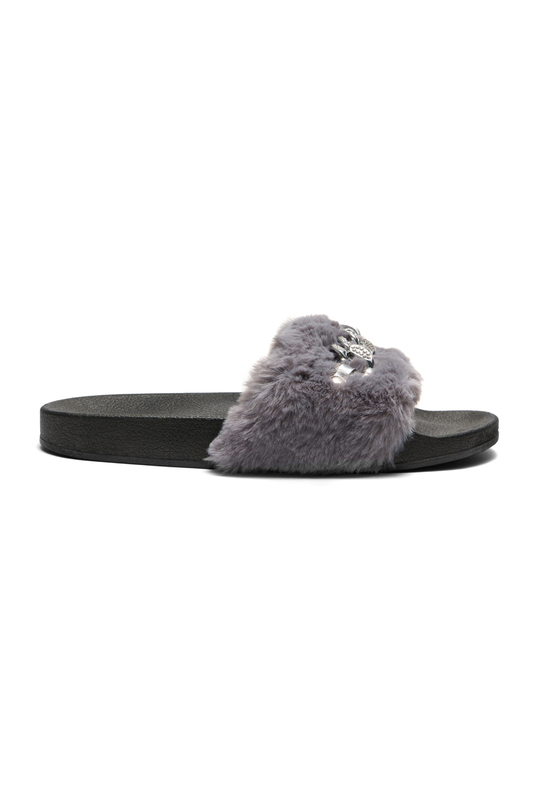 This plush sandal features a soft faux fur band with chain Accent and finish with a molded foot bed. Easy slip-on style. Available in Black and Grey. so stylish yet comfortable to walk around! thumbs up!!! !